Jonathan BarnbrookWhile the surprise announcement in January that David Bowie would be releasing his first new album in a decade was largely met with equal parts shock and delight – though perhaps as much because he’d managed the impossible in keeping the existence of it a secret in hyper-connected 2013 as the actual prospect of new Bowie music. Most remarkably, though, was the fact that an artist who had successfully withdrawn from public life and transitioned into myth – and was alive and well enough to enjoy that status – had chosen to come come down from the mountain and possibly put that all at risk by reopening his legacy. Or maybe it’s not remarkable at all; after all, the man is an artist and artists create. But strip away the remarkable narrative around The Next Day and you’ve still got a very good record that, while it doesn’t stand alongside his best epoch-defining records, still puts lie to the notion that he’s done nothing worthwhile since Scary Monsters. It is self-referential, but consciously so – the drum outro on “(You Will) Set the World on Fire” is not an accident – and the past is only used as a point of perspective; there’s no intent to try and recreate it or pretend he’s not every day of his sixty-six years. He does intend, however, to prove that hexagenarians can rock. Fears that the first preview – “Where Are We Now?” – would set an elegiac, fragile tone for this album were wholly unfounded – The Next Day finds Bowie in full rock sophisticate mode, with “The Stars (Are Out Tonight)” and “Valentine’s Day” as good as anything he’s done in the past 30 years. And while those who had romanticized the story of Bowie – enabled over the past decade by his “retirement” – may be frustrated that it’s not a work of absolute majesty and proves he’s still very much human and capable of missteps, those of us with more realistic expectations should be more than pleasantly surprised. Courtesy of With A Bullet, I’ve got two copies of The Next Day – one on LP, one on CD – to give away to some lucky Canadian. 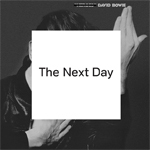 To enter, email me at contests@chromewaves.net with “I want Bowie’s The Next Day on CD” or “I want Bowie’s The Next Day on LP” in the subject line, as the case may be, and your full name and mailing address in the body and have that to me by midnight, April 13. And again, Canucks only. Sorry, non-Canucks. Frank YangI had to think for quite a while about including this show under my Canadian Musicfest coverage. Although the festival would like you believe that Nick Cave & The Bad Seeds’ visit on Saturday night was as a festival headliner, everyone knew that this show had little to nothing to do with Canadian Musicfest and everything to do with the tour in support of their latest effort, Push The Sky Away; I don’t even know if any of the VIP wristbands promised access actually got in. However, as I’ve exempted shows from fest coverage in the past on account of their not being explicitly listed as performers, it seems only fair to have the inverse apply. Yes, these are the things I spend energy thinking about. Pity me. 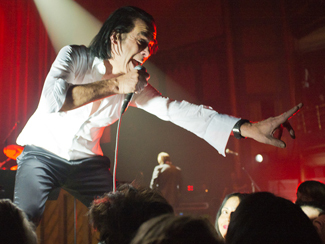 In any case, it was going to be a full house for The Bad Seeds’ first Toronto show since October 2008, and with this being the band’s first time at Massey Hall – arguably the most natural setting for them – it was bound to be a memorable one. It’s been a joy watching Sharon Van Etten’s career trajectory over the past few years, from lightly-attended opening slots in Spring 2010 through graduating to headlining status a year later and then, last year on the back of Tramp, filling rooms like Lee’s Palace and The Phoenix. So while on paper, moving back to opener status might seem like a step back, when it’s at Massey Hall and opening for Nick Cave, it’s most certainly not. Performing as a guitar and drums two-piece, her compact five-song set – including a new one that was intended to be happy but still sounded mournful – was a fine introduction to her beautifully confessional songwriting for those unfamiliar with her and for those already won over, an affirmation that her gorgeous voice belonged in cavernous halls like this. Someday. Soon. Some have bemoaned the slow, stately pace of Push The Sky Away, wondering where the spit and fire that defined Dig!!! Lazarus Dig!!! and the two Grinderman records had gone. For my part, I think that that run of records – and you can probably include 2004’s Abbatoir Blues/Lyre Of Orpheus in there – as well as the departure of Mick Harvey following Lazarus and Cave’s work both writing and scoring films, pretty much guaranteed that Cave would get introspective next. And accepting that, it’s a gorgeous and immersive record, putting the focus on the content of Cave’s words – of which there are many – rather than the intensity of their delivery, and the Bad Seeds get to show off their atmospheric chops. Those fearing he’s gone soft would do well to remember that the band went ballad-heavy for a few records at the turn of the century before returning to the rock. Even if this current phase lasts beyond Sky, it almost certainly won’t be the last. This show was also of significant contrast to the last Kool Haus performance; whereas that one was as lean and mean a rock machine as a seven-piece outfit could be, this one figured to be a more sophisticated affair, bolstered by a string section featuring members of Godspeed You! Black Emperor and Owen Pallett as well as the 19-piece Rose Avenue Junior Public School choir and backing singers Shilpa Ray and Sharon Van Etten. All were put to good use from the get-go as they opened with a smouldering five-song suite from Sky; slow, lush, and gorgeous but with the massive crescendo punctuating “Jubilee Street” offering a taste of what was to come. And indeed, when “Higgs Boson Blues” – arguably the centrepiece of Sky – faded out, Cave let out a snarling, “I wanna tell you ’bout a girl!” and the back catalog was open for business. The menacing Nick Cave persona, heretofore kept in check with the slower material and informal chatter with the audience, was let off the leash and set to prowling the edge of the stage. A good portion of the floor seats had already rushed the front of the stage before the show began, and though security tried to stem the flow, Cave suggested they head to the bar and get a drink instead; after all, what’s a preacher without his congregation? The Bad Seeds played their part, as well, dressed like gentlemen assassins (the leopoard-skin lining of keyboardist Conway Savage’s suit jacket got a compliment from Cave) and Warren Ellis in the role of the loose cannon, whether abusing his violin or dancing/conducting the string section manically on “From Her To Eternity”. The children’s choir looked a touch unsettled by the intensity of the older material and were probably relieved to be sent off an hour into the show. The remainder of the set was mostly obvious selections from throughout Cave’s repertoire, the sublime execution making up for the predictability of the selections, although the complete omission of Lazarus still rankles. The strings were used to beautiful effect on “Love Letter”, “The Mercy Seat” as harrowing an experience anyone could reasonably expect at a concert, and main set closer “Stagger Lee” an exercise in elegant mayhem. The choir returned to bolster an elegiac “Push The Sky Away” and a roaring “Tupelo” closed the night out. Having been at it with The Bad Seeds for almost 30 years, his reputation for incredible live shows is more than well-established, and yet he’s still able to send people into the night dazzled and dazed and not quite believing the show could be as good as it was. But it was. Oh, it was. The National Post, Exclaim, BlogTO, and The Globe & Mail also have reviews of the show. The Toronto Star and NOW had feature interviews with Cave ahead of the show. And some album streams to take us into the long weekend – Pitchfork has got an advance stream of The Black Angels’ new record Indigo Meadow, out April 2, and Philadelphia Weekly an interview with frontman Alex Maas. 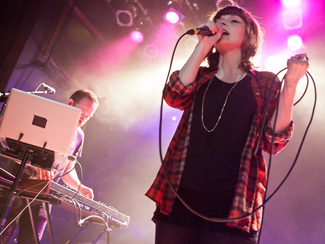 They’ll be at The Danforth Music Hall on April 13. Hype Machine is hosting a stream of For Now I Am Winter, the new record from Icelandic composer Ólafur Arnalds. It gets a North American release on April 2. The Guardian is streaming the new British Sea Power album Machineries Of Joy. It comes out on April 9. Yeah Yeah Yeahs have rolled out the first video from Mosquito, out April 16. It features a lot of face-sucking. Spin points to a stream of the b-side from The Strokes’ 7″ contribution to Record Store Day this year. If you think it sounds a lot like one of the songs on Comedown Machine, you’re not wrong. Clash talks to Black Rebel Motorcycle Club, in town at the Kool Haus on May 9. Frank YangIf you’re ever debating what to do on a given evening of either Canadian Musicfest or NXNE, you can always do far worse than to simply post up at either The Horseshoe or Lee’s Palace for the entire evening. These Toronto anchors always host a solid bill of bands, both local and international, buzzy and unheralded, covering a swath of genres that will surely have something to delight the ears. Granted, I was there with a more specific mandate than to just take in some music – I wanted to see Savages – but still opted to spend the whole night there and see some other acts I’d not seen before. Because isn’t that the point of these things? Vancouver’s Zolas drew the opening slot and my immediate impression of their lanky, piano-heavy and slightly funky rock was that they sounded like Spoon, but those comparisons became less valid as the set progressed. The ingredients were similar, but their recipe drew more from laid-back, ’70s pop-rock than the tense, ’80s post-punk influences of the Austinites. This didn’t make their set any less enjoyable, but I can’t say I wasn’t a bit disappointed that they weren’t a more adventurous outfit. Still, their sound was a crowd-pleasing one and when frontman Zachary Gray left the stage to sing the final song from the audience, it felt like he had been invited rather than invaded. There’s almost no chance I’d have ever seen Dustin Bentall & The Smokes perform if not for the inherent eclecticism of club festival lineups. Not because I’d have gone out of my to avoid them, but because their brand of unaffected roots-rock ceased being the sort of thing that piqued my curiosity some time ago. But that doesn’t mean it can’t be entertaining, because it absolutely was – Bentall has an easy charm and his songs a friendly familiarity that helps compensate for the rather pedestrian songwriting, to say nothing of the live show – Kendel Carson’s aggressively virtuosic lead fiddle playing could make anything sound amazing. Hamilton’s Young Rival have been kicking around for a while now – six years and two albums, says Wikipedia – but our paths had yet to cross, or at least until last month when one of their clips was shortlisted for the Prism Prize. In any case, I was advised just before their set to expect something between garage rock and power pop, and while this was true, their set tilted much more towards the former. They offered great guitarwork and a solid rhythm section and songwriting which while not the most memorable, was more than serviceable for rock’n’roll. I would have expected more showmanship from a power trio as tight as they were, but while they weren’t disinterested, they also didn’t seem especially fussed about wowing the audience. It was good to see that each of the acts on the bill had their own fanbase turn out, based on the enthusiasm of varying percentages of the audience and the constant turnover of the folks gathered up front, but for me it was London four-piece Savages who were the reason for being here this night. Not because I’m a huge fan, but because I’m not. Or more accurately, I was curious to see if the hype around a band with hardly any recorded output and yet just signed to one of the most respected labels around was justified. And for the record, their “they’re amazing live” reputation actually counted as something of a strike in my books, since talking about the performance before establishing the songs are there raises flags with me. 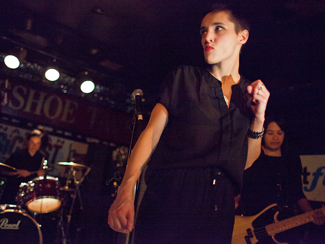 In any case, Savages took the stage certainly looking as you’d expect – lights dimmed, faces stern, and dressed all in black save for frontwoman Jehny Beth, who in addition to looking an uncanny hybrid of Ian Curtis and Sinead O’Connor, also wore a pair of bright red heels. And for the next 40 minutes, it was all business – that business being a relentless, sonic pummeling of the post-punk variety, all hard edges and not so much interested in hooks as stabs. Each song had a distinct musical angle to distinguish it from the others without compromising their aesthetic consistency, but this wasn’t always enough to make them memorable, particularly measured against the standard of their two best songs and set closers, “She Will” – which was highlighted by drummer Fay Milton absolutely destroying her splash cymbal – and “Husbands”. No question Savages put on a good show, but I will still reserve judgement until the May 7 release of Silence Yourself when I can hear if they’ve got the songs to back up the performance. There’s probably a rule somewhere that you can’t call it a festival without some ’90s-vintage reunion act, and that’s where the night’s ostensible headliners Limblifter came in. I wouldn’t say I had any particular affection or enmity towards the Vancouver band, having liked some of their hits back in the day and been indifferent to others, but I could think of worse things than to hear “Vicious” live. It’s worth noting that just as frontman Ryan Dahle has aged remarkably well over the past 15 years, Limblifter’s sound has also held up pretty well. Their slightly strangled, angsty grunge-pop is still very much of an era – on hearing “Screwed Up” I half-expected a space-time wormhole to open up and drag me back to my sophomore year (this would not have been a good thing) – but enough of their repertoire is strong enough melodically to still impress so many years hence; to wit, “Tinfoil” still sounded great. And as evidence that Limblifter was still a going concern in 2013, they introduced some new material that didn’t feel out of place with the old. Whether the folks in attendance were actually interested in adding to their Limblifter collection rather than just hearing the old tunes remains to be seen, but for this night, at least, they were loving it. The KW Record has an interview with Limblifter. NOW and The Montreal Gazette talk to The Besnard Lakes about their new album Until In Excess, Imperceptible UFO, out April 2. And if you were thinking that it was about time an advance stream of the album surfaced, you would be correct – CBC Music has it (for Canadians). Beatroute, The Leader-Post, The Province, Metro, and The Times-Colonist chat with Born Ruffians about their new album Birthmarks, out April 16. Exclaim has premiered the first video from Gentleman Reg’s latest album Leisure Life. He’ll play songs from it at an in-store at Sunrise Records on Yonge St on April 19. Consequence Of Sound reports that Caribou will celebrate Record Store Day with vinyl reissues of his first three albums. That’s April 20 for those not keeping track. 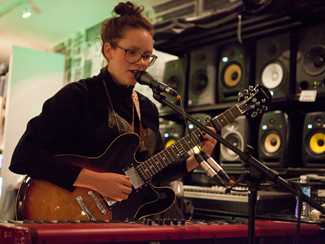 Exclaim talks to Rachel Zeffira, who is in town for a rare show at The Drake on May 2. NPR has video of one of METZ’s performances at SXSW this year. They play Lee’s Palace on May 17 and then Downsview Park opening up for Weezer on July 12. The Toronto Sun, Black Book, and amNY chat with Stars, BlogTO with The Darcys, and The Georgia Straight, Vue, Playback, and FFWD with Hayden – all of whom are part of the Field Trip festival at Garrison Common on June 8. A Heart Is A Spade and Noisey grabbed interviews with Diamond Rings at SXSW; he opens up both of OMD’s shows at the Danforth Music Hall on July 11 and 19. Exclaim rounds up some details on Shad’s next album, Flying Colours. Kestrels have released a new video from A Ghost History. Suuns answers questions from Spinner, Noisey, The 405, All The Write Notes, and Ca Va Cool.